The team had a wide variety of products on display including some new products; Prime Condition Mix enriched with high quality oils and oats, alfalfa, Equi-jewel and Stamm 30. Bluegrass Dog Delight Nugget Joint Support, a hypoallergenic feed to promote joint care. For the second year running Bluegrass Horse Feeds was proud to be the sponsor for the Schools Team Jumping Championships held in the main arena on Saturday morning. The heat was on for the teams but in the end Down High School took the Bluegrass perpetual trophy. The team at Bluegrass would like to congratulate all teams that took part and look forward to meeting the winning team at their Mill Tour. 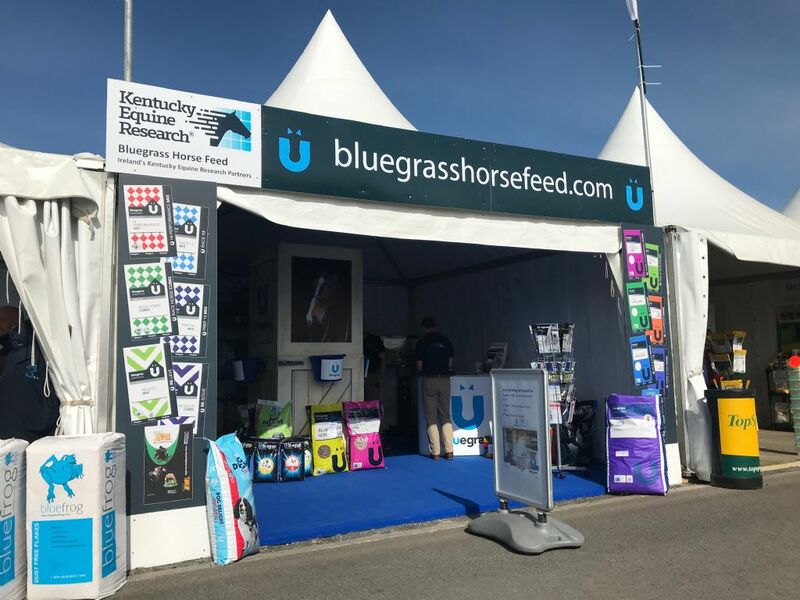 As part of the 20th anniversary celebrations Bluegrass Horse Feeds launched their 20th anniversary magazine at Balmoral Show, "The Inside Scoop", a chance for customers to have a look into the history of Bluegrass, meet the team and some of the riders and trainers. The magazine will be circulated to merchants all over Northern and Southern Ireland and will be distributed at upcoming shows that the team are attending such as the NI Country Sports Fair and Dublin Horse Show.